Today’s world is guided by preparation and efficiency. As threats loom large, so too must your ability to coordinate your response. Counties, cities, and even states are considering or have already built “emergency response centers” to promote a unified, cross-government answer to the needs of their constituents. A guiding principle of these integrated operation centers is using technology to coordinate with civilians and your staff in the field to understand situations and respond to them. Crucial to this endeavor is including the technology to monitor and track communications, like visual displays, robust audio and communication systems, and collaborative technology. We at BCI Integrated Solutions appreciate the importance local, state, and federal government agencies place on their ability to respond to danger, or even facilitate the daily onslaught of situations that happen throughout their jurisdiction. We have the expertise necessary to design professional emergency operations facilities, and have built systems for monitoring and communications for prominent organizations like MacDill Air Force Base and the Pinellas County Government in Tampa, Florida. With today’s modern tech, tracking, coordinating, and responding is at your fingertips. Trust BCI Integrated Solutions to appraise your space, create a customizable solution, and install and continuously provide you with the systems you need to protect your citizens, corporate campus, university, or any other space from danger. We can provide operations center solutions to organizations located both near our offices in Tampa, Fort Myers, Orlando, but also throughout the southeastern United States and country. We’re ready to work where you need us. Contact us today for more information. Why Use BCI to Build Your Emergency Operations Center? We will design and install your emergency operations center anywhere in the world. Our offices are located in Tampa, Orlando, and Fort Myers, but we go where you need us, including anywhere in the Southeast and across the United States. Let us bring the integrated solution to you. BCI offers a comprehensive process to determine the best integrated solution for your emergency operation center or communication center. How Can We Make Your Emergency Operation Center Excel? BCI uses the highest quality audiovisual systems to take your emergency response center to the next level. Many of our AV systems can integrate seamlessly into any other needs you may need, including communications systems, wireless alarm systems and monitoring, and video management solutions. We’re ready to deliver you a customized emergency center design that perfectly fits your requirements, accomodating you for voice record and playback, video display, environmental control, phone conferencing, security monitoring, or any other system specifications you may have. We also provide long-term training and service to keep you abreast of new AV developments. 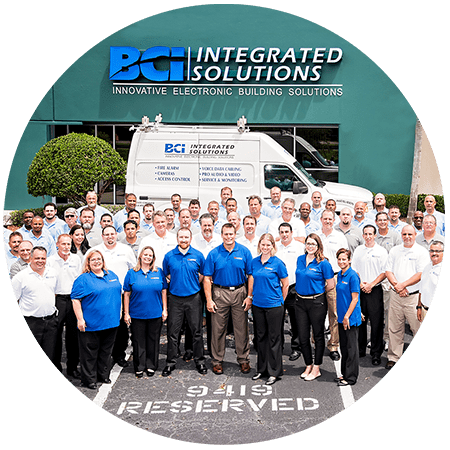 Our team at BCI Integrated Solutions has the experience you need to quickly build out a workable system for you, and we use some of the finest products in the world to make it possible. Make sure the sky is clear. Turn your emergency response into a backbone of your community or company’s infrastructure. Bundle your AV and other integrated system needs with BCI Integrated Solutions, and let us build you a coordinated audiovisual solution for your emergency center today. BCI Integrated Solutions has provided professional solutions for businesses for over 15 years. We have had the opportunity to provide audiovisual systems to major sports venues, corporate training centers, hotels, colleges, universities, hospitals, and many other venues.